It is strikingly interesting how past scientific theories on the functioning of the human body have remained so deeply rooted in our common sense. For example Cartesian dualism regarding the differentiation between body and mind is sometimes still supported; on the contrary, body and mind are deeply interconnected and they should not be considered as two separate entities. As a matter of fact, our body is littered with receptors that constantly report to our brain the activities of that particular area, in order to grant a better control of their tasks. Another theory that is usually misleading is Aristotle’s concept that our heart is the centre of emotions; in the last decades plenty of scientific data widely showed how the origins of emotions rely in several and very specific areas of the brain, that activate our body for a very rapid reaction. Emotions are internal states that accompany us in our everyday life, carrying very important and precious information about ourselves. 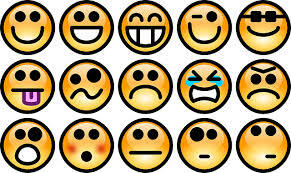 Every emotion implies 3 different components: a cognitive, a behavioural and a physical one. The cognitive component is about the evaluation and the thoughts on the emotion; the behavioural is about the reaction that we will adopt as a consequence of the emotion, while the physical is about the change in our body functions that prepare our body to action. Contradicting Aristotle’s theory, emotions rely in the body as much as in our brain. In psychology we talk about primary and secondary emotions. These emotions are called “primary” because anthropologically they have been present since the very beginning of the story of the human being, we share them with primates and they are universally experienced and recognised, as showed by scientist Paul Ekman. The ability to recognise one own’s and other people’s emotion, to manage them and to use them in a constructive way is called Emotional Intelligence. Emotional Intelligence is considered nowadays very important as it seems that it effectively impacts our work performance and our ability to relate to other people. Many times relational problems are indeed consequences of a difficulty in understanding the other person’s emotional world and relating to it. Emotions are very important as they indicate our direction in the world and tell us how well we are dealing in achieving our intimate goals. If you want to read more about why emotions are so important, click here. Comfort zone: in or out? Trapped among worries and rumination, what about Mindfulness?